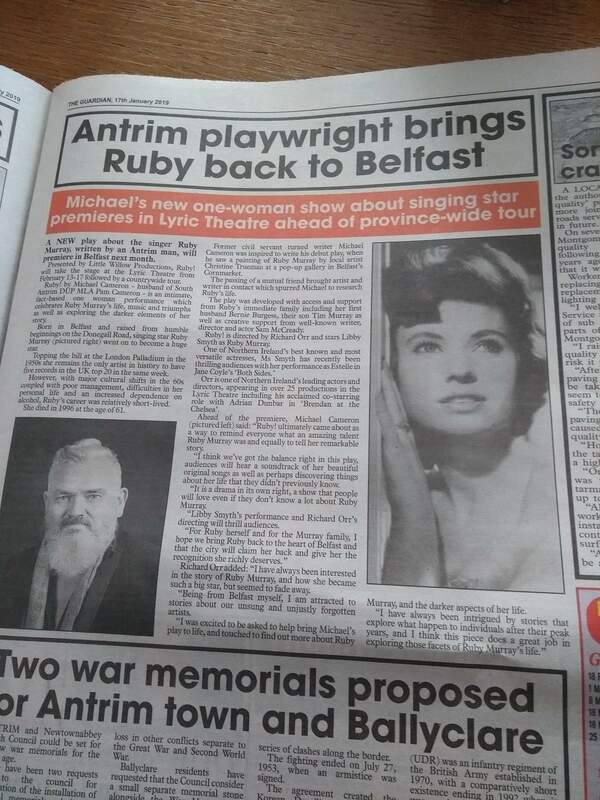 Although he now lives in Antrim, playwright Michael Cameron – whose new stage play about the life of 1950s singing sensation Ruby Murray opens at the Lyric Theatre on 13 February – is a past pupil of Bangor Grammar School. He attended the school between 1976 and 1981. After a four-day run at the Lyric (until 17 February), Ruby! will tour Northern Ireland, with the venues including Armagh, Newtownards, Coalisland, Strabane, Lisburn and Newtownards. Bangor Grammarians extend best wishes to Michael for a very successful production.